Gone are the ways when iPhone users were stuck with only having to pay for every music on their playlist. Any way to download free music to your iPhone? Luckily for iPhone users, tons of sites and apps offer free music for them to stock-up their playlists. All you have to do is to take your pick from all the options available to you, and then download as much as you can. Getting songs that are free from your iTunes isn’t necessarily a terrible scenario. You could install several music apps that allow you easy access to the music, or you could record music from radio stations and music sites. 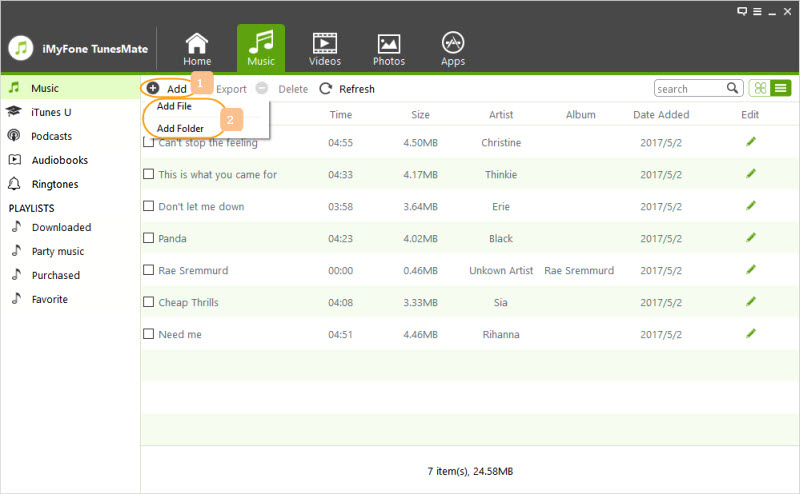 All your recorded and downloaded tracks would be saved to your device’s library. Step 1. 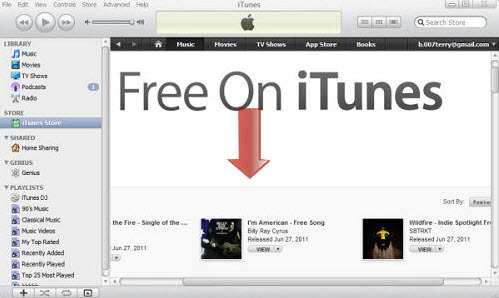 Proceed to iTunes home page and open the iTunes Store located on the left pane of the main interface. Step 4. Shortly after that, all the free contents on iTunes would be displayed. Step 5. To download them, just log in to your iTunes account and click on the free button. You could also find free music from iTunes on YouTube. All you need to do is convert it to the format that suits your device. iMyFone TunesMate plays the role of a bridge between your iDevices, and your PC/iTunes; without experiencing any undue stress, or sync-block. 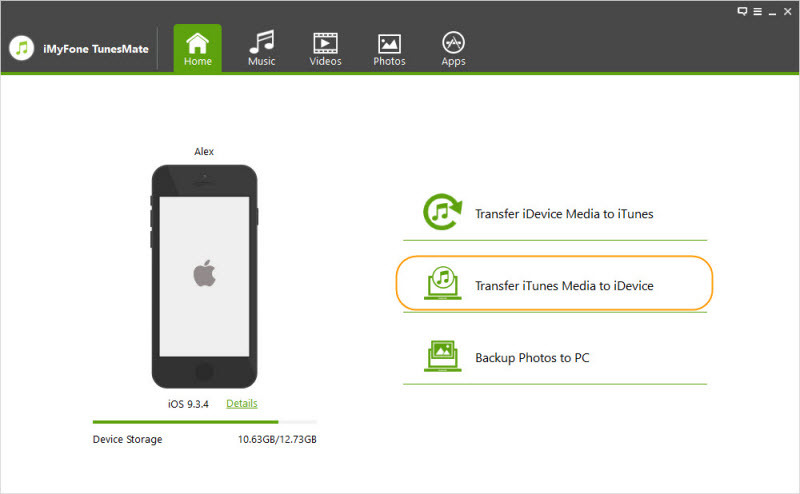 It supports the transfer of iOS files to PC/iTunes without experiencing any unnecessary problems. All you’re required to do is drag the particular file you need, and then drop them in your local library. Step 1. After you’ve downloaded the software, run it, and then connect your iPhone to the computer. Step 2. Click the “Transfer iTunes Media to iDevice” button. The available files would be scanned. Step 3. 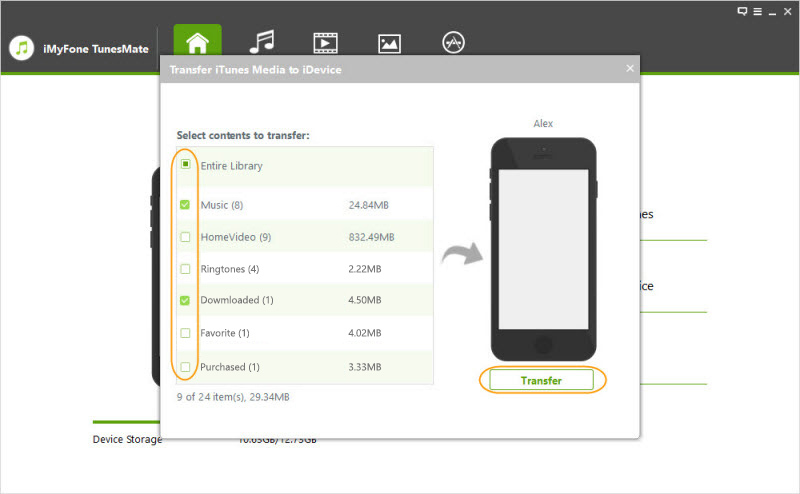 Preview and select the free music that you want to transfer. Then click on the “Transfer” button. 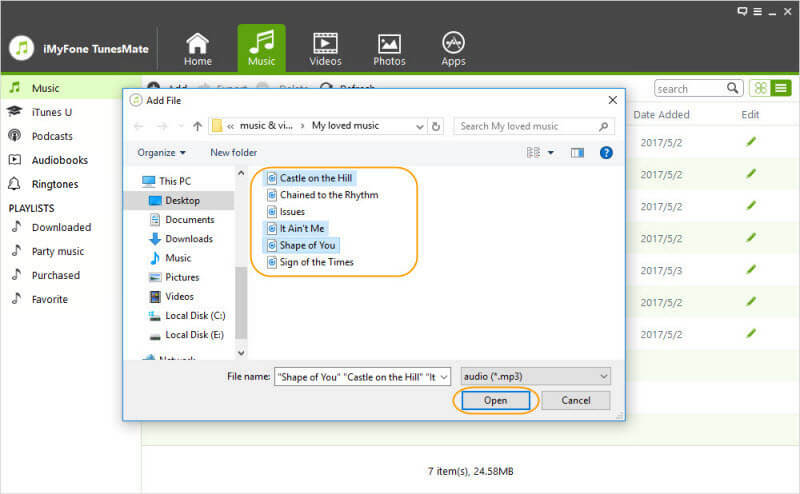 Assuming you have a large music collection on your computer and you’d like to send them to your iPhone, with the aid of TunesMate, it’s relatively easy. Step 1. Run TunesMate software and locate the music tab on the interface. Step 2. Click on Add>Add File or Add>Add Folder. You could either send them individually or in bulk, with the folder. Step 3. Select the files that you’d like to send, and click on the “Open” button. Then the program will begin to transfer the chosen files to your iPhone. These days, it’s not only websites that store free music for users again. Several apps provide free tracks for iPhones and other iDevices. While some of them have large libraries, a few others just carry hand-picked tracks each day. Tucked away in a hidden section of this popular platform there’s a huge section for free songs on Amazon. Even though the good stuff might take a while to locate, if you’re patient enough, you’ll stumble on a gold mine. This software comes pre-installed in every iPhone and iDevice. Technically, it’s not always free, but you can enjoy the first ninety-day free trial. After that, charges are incurred. GPM is the alternative to Apple Music, and they offer users two months of free streaming of their songs before they start charging for it. This platform offers up a vast collection of free tunes. It’s one of several free-form radio stations, based in the United States. All the songs are provided by WFMU, the station in-charge of the project. This site caters to indie-music lovers. They have a collection of close to a million songs. Before they became the go-to destination of the main selling albums, they were just a site that provided tracks by indie-artists. Their music database contains several million songs. They hold a couple of hundred free songs available for download by both iPhone and Android users. They offer tons of EPs from up-and-coming artists and bands. They supply exclusive music that you might not be able to see anywhere else. The site also provides free books for download too. It’s in no way related to Free Music Archive, even though they share a similar name. It’s strictly a site for fans of live concerts that have been recorded for distribution. It’s a tiny part of the much larger website; Archive.org.